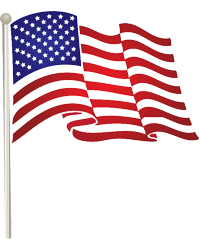 A loving husband and father, Kenneth Frederick Bowers, 75, passed away suddenly during the early morning on the 4th of July, 2018. He will be immensely missed by friends and family alike. Kenneth was born on October 30, 1942 in Northville, MI to Jesse and Mary Jane Bowers. In 1960, he joined the Army and was assigned to Boscomantico Airfield in Verona, Italy, where he served as an aviation mechanic. There he met the love of his life, Flora, an Italian beauty, to whom he was married for 55 years. Kenneth worked for General Motors for 30 years, retiring in 1993. Upon retiring, he returned to his childhood hometown, Sidnaw, Michigan, where he built a home with his own hands for his wife and himself. 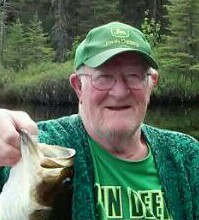 He loved everything about the outdoors and the Upper Peninsula, and especially enjoyed hunting, fishing and trapping. Later in life, Kenneth enjoyed caring for and feeding all the animals of the woods, except for the coyotes. He devoted his time to his wife, children and grandchildren and enjoyed teaching them all he knew. Kenneth had a strong sense of humor and entertained all in every conversation. He is survived by his wife, Flora, his three sons, Eddi (Keri) Bowers of Colora, Maryland; Kenneth Jr (Debbie) Bowers of Davison, Michigan; and Johnny (Lorrie) Bowers of Sidnaw Michigan; and his seven grandchildren, Giovanni, Gregory, Antonio, Alec, Devin, Nash and Giordano. He is also survived by his brothers Kaye Bowers, Jesse (Mary) Bowers and Bruce (Wanna) Bowers, and his sister-in-law, Yvonne Bowers, all of Sidnaw, Michigan. He was preceded in death by his oldest brother, Kirk, in 1971. Per Kenneth’s request, there will be no funeral service. Kenneth will be laid to rest in the Sidnaw Cemetery. The Jacobson Funeral Home of L’Anse is assisting the family.